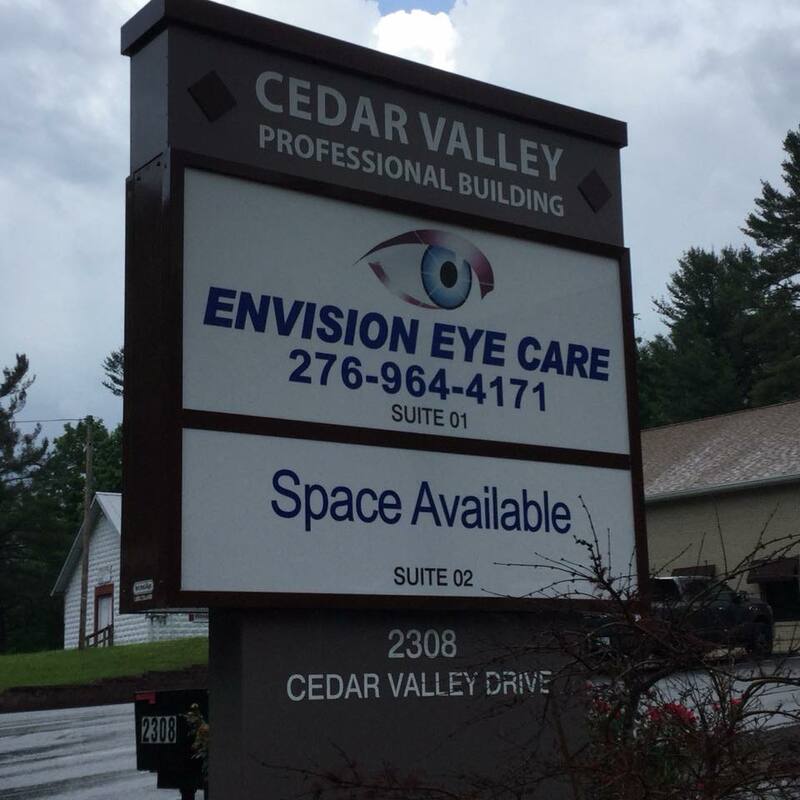 Located at 2308 Cedar Valley Dr. in Cedar Bluff, VA, our new Envision Eye Care office is open 5 days a week, from 8 a.m. to 5 p.m.. Call us to make an appointment with our eye doctors to talk about your eyeglasses, contact lenses or specialty lens needs. Or just drop in anytime to browse through our large selection of designer eyeglass frames or sunglasses.